Classic traditional Native American Silver Jewelry boasting rich blue America's coveted Sky Stone Sleeping Beauty Turquoise. 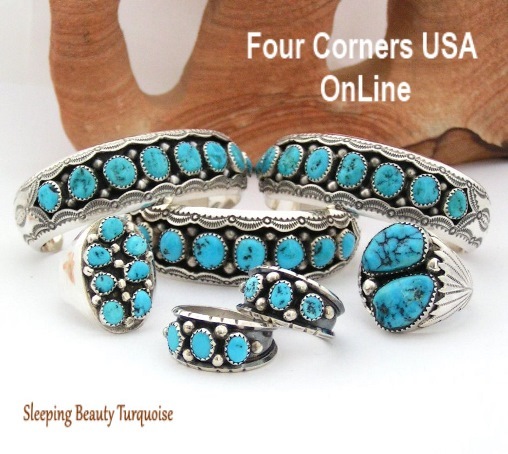 Prized for its consistent color, Sleeping Beauty Turquoise has been the benchmark of southwestern Native American Jewelry artists for years partially due to the mines large production of stone as well as general proximity to the Navajo Nation and Zuni Reservation. When the world thought of Native American Turquoise Jewelry, they were often thinking of Sleeping Beauty Turquoise.